Would you like to get rid of all negativity from your life? Do you feel stuck and unable to accomplish the things you want? Discover the root cause of your self-criticism and how to rewire your thoughts to serve you as fuel to unleash your full potential. If you are looking for lasting changes and to move up in the scale of success in your life, then you must modify the way you think. 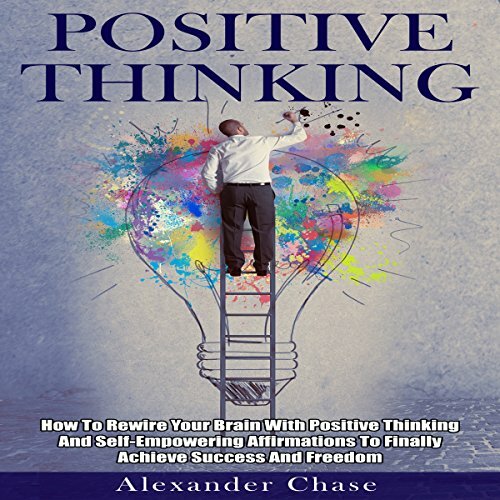 This guide will deliver you the blueprint on how our thoughts define who we become. You will experience a total mental transformation and not just uplifting stories on how others have done it. The mind is the powerhouse that enables consciousness, thinking, perception, judgment, and memory. On the other hand, character is the mental and moral quality distinctive to every being. When the two are combined, they define the personality. However, the life we are living today is defined by the thoughts in one's mind and the action implemented on the outside to be who we are. There is a lot of information that has been shared on the subject but this guide is more suggestion than explanation. The aim of this book is stimulate listeners to discover the potential in their thoughts and apply the shared information in their daily lives. Thanks again for downloading this audiobook. I hope you enjoy it!